This is in continuation to my previous post on Diseases of apple: Management of PrematureLeaf Fall. In today’s post we are going to discuss about the Sooty Blotch and Fly Speck. 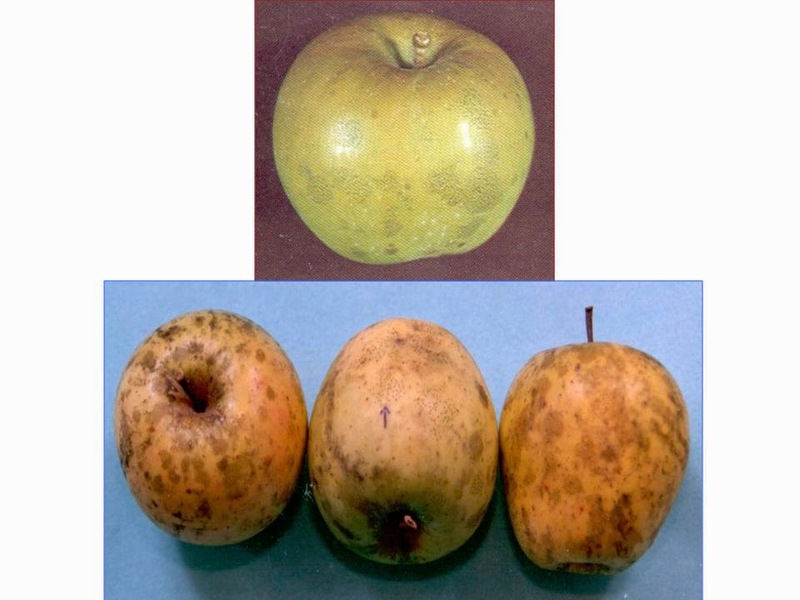 Description: Sooty blotch colonies appear as shades of olive green on mature fruit. They vary from discrete almost circular colonies to large colonies with diffuse margins, which are sooty in appearance. Large amorphous colonies that cover large portions of the fruit surface result from secondary spread on the fruit. The fungus is found on the upper surface of fruit, which can be easily removed by rubbing leaving behind slight depression. No permanent spot is found on the fruit surface. This disease is found on late maturing varieties and under storage conditions. The fungus survives from one season to the next as mycelium and pycnidia on infected twigs of apple and numerous forest trees. The fungus is dispersed as chlamydospores or conidia during rains in the spring and early summer. Most conidia are liberated by early summer, but extensive secondary spread by chlamydospores and mycelial fragments occur throughout the seasons. The infection can also be seen on new twigs, on which it remains active. During the months of May and June, low temperature and rains are necessary for disease development. For the fungus development 18.3ºC is favourable. The disease is more prevalent in low and shady area of the orchard. Causal Organism: Zygophiala jamaicensis and Mycrotheria spp. Description: Symptoms of flyspeck on apple are approximately described by the name. Black spots are formed on fruits. Colonies are characterized by well-defined groups of 6, 8 or sometimes 50 shiny, black, superficial pseudothecia on the surface of the fruit. This disease is found abundantly during rainy days and in less windy regions. Sooty blotch and flyspeck colonies commonly occur on the same fruit, but the colonies are mutually exclusive. Though these diseases do not cause much harm to the fruit yet it deteriorates the market quality thus affects the price of the produce. In my coming post I shall be discussing about Management of Sooty Blotch and Fly Speck of apple.